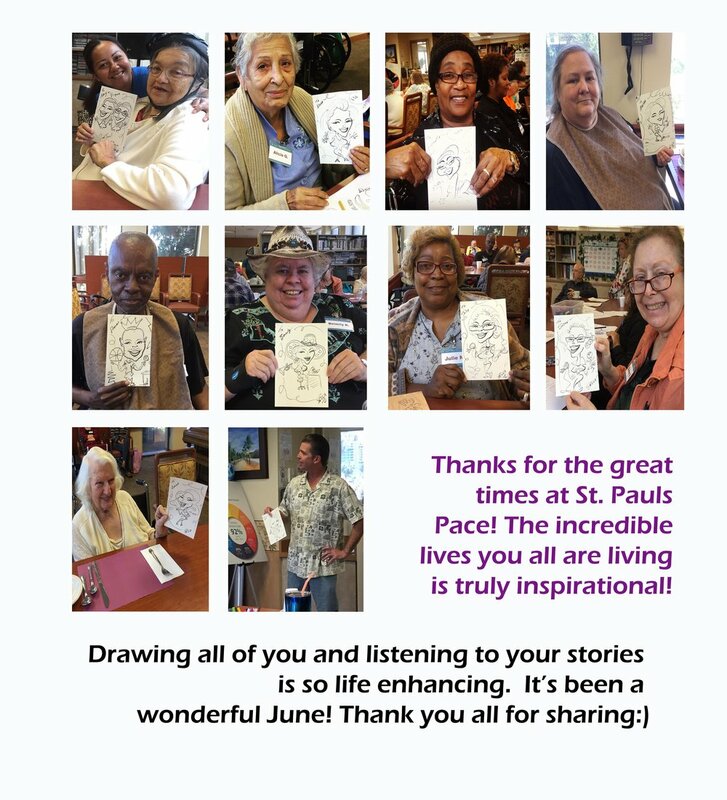 Spencer Art donates a great portion of it's proceeds to the 501(c)3 non-profit called Draw for Smiles. Contributions are tax-deductible and highly encouraged to increase art awareness, art action, and promoting random artist to keep the universe of self expression alive. Caricature Art is one of the most challenging art forms. It engages perception, accuracy, humor and much skill. 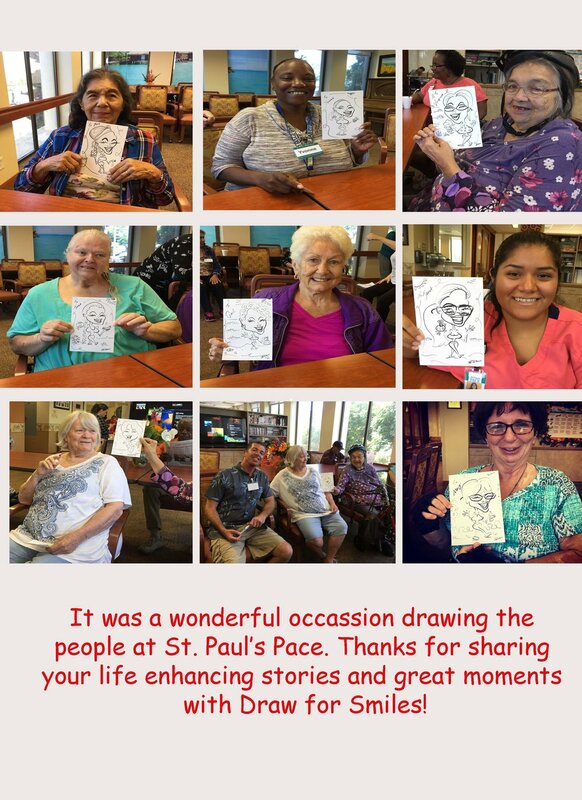 Draw for Smiles is increasing it efforts to give back to give back to communities everywhere through hosting special caricature engagements at Retirement Homes, Hospitals, Youth Centers and organizations designed to help the public. 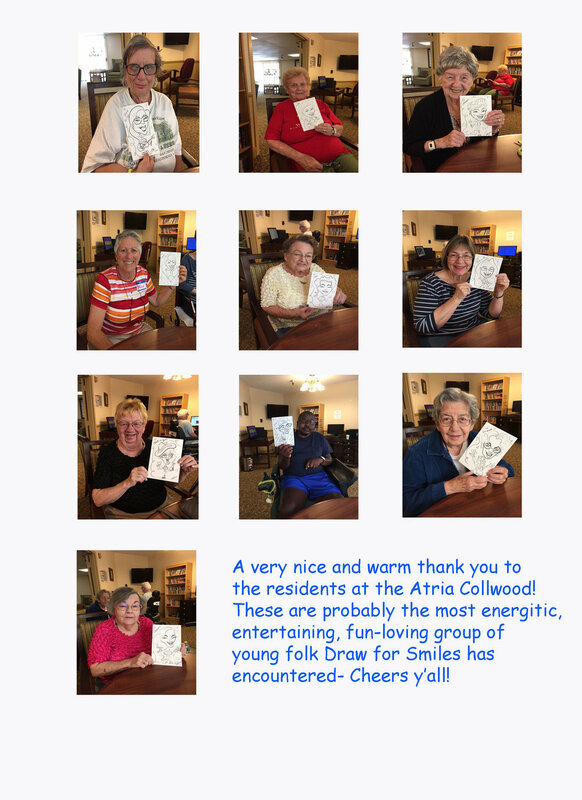 Here's an entertaining video of the drawings in action! Visiting the Boys and Girls Club in Clairmont Mesa was a thrill! So surprised these kids were so well behaved!